Bhubaneswar: The 14th edition of the Men’s Hockey World Cup started with a glittering ceremony at Kalinga Stadium in Bhubaneswar on Tuesday evening. 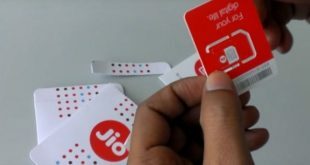 Several Bollywood stars including Shah Rukh Khan, Madhuri Dixit and AR Rahman descended here and participated in the opening ceremony of the world cup. The event started with Odisha Chief Minister Naveen Patnaik declaring the World Cup open with all the 16 captains on stage. 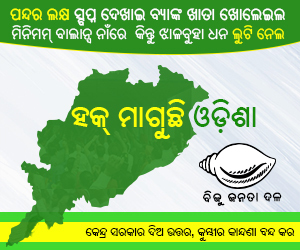 “I welcome all the international hockey teams, the distinguished delegates and the hockey officials to Odisha. 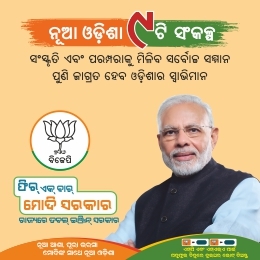 You’re the guests of 4.5 cr Odia people. 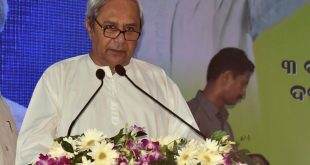 I assure you that you will have good stay here and wishing every one of you very best, I declared the Odisha Hockey Men’s World Cup Bhubaneswar 2018 open,” said the Chief Minister. 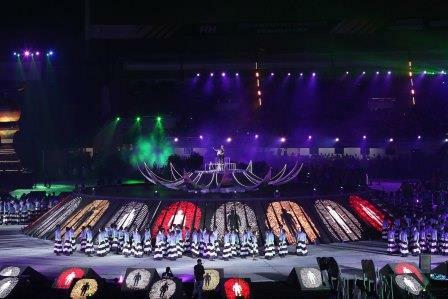 Spectacular fireworks enthralled the audience at the Stadium following the CM’s announcement. 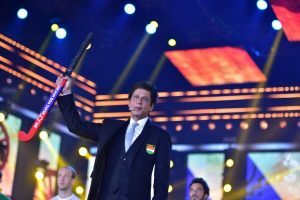 Bollywood superstar Shah Rukh enacted his iconic ‘Chak De India’ speech on stage as he met the captains of 16 teams, who are ready to fight for supremacy starting from Wednesday. “Hockey feels like poetry in motion and players are artists when they run with the ball. What sets hockey apart from other sports is it’s an amalgamation of emotions, thoughts and lots of action,” said King Khan. Madhuri Dixit greeted the people of Odisha with an ‘Earth-themed’ performance. Madhuri Dixit along with over 1000 artists mesmerised the jampacked audience with a theatrical production and dance ballet titled “The Earth Song”. The theme of “The Earth Song” is ‘Oneness of humanity’. The event ended with a musical performance from music maestro AR Rahman. 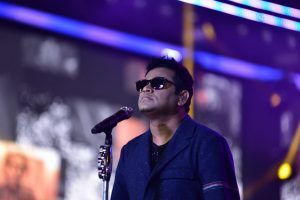 He sang all his greatest hit that started with ‘Dil Se’ and ended the evening with “Jai Hind India” song, which is the anthem of the World Cup.